Often, windows and doors are kept closed - day and night - for fear of insects and mosquitoes. Obviously, closed windows and doors block the much needed fresh air and sunlight. Made of stainless steel wires woven into a mesh. It is extremely durable and has superior strenth. It comes in black colour, offers excellent outdoor visibility - "CLEAR VIEW" , better air-flow and excellent resistance to rust and corrosion. 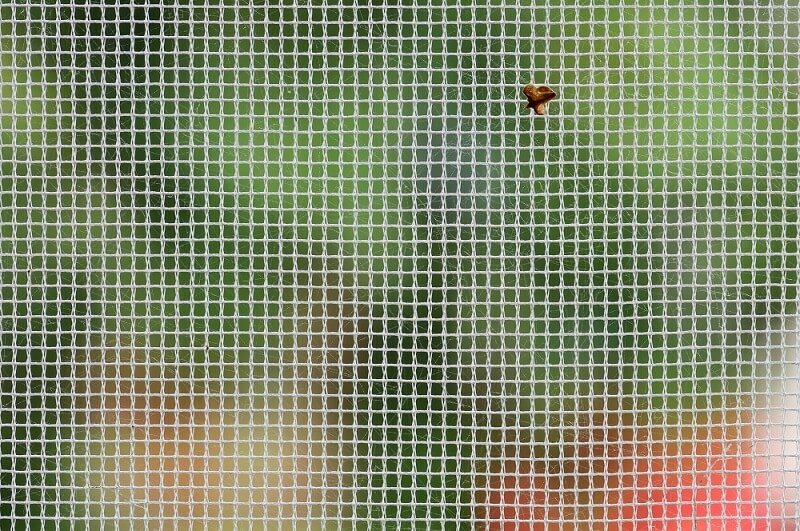 If you have pets that constantly tear into your screens, go for the heavier and strong pet resistant mesh. It's is resistant to tear and damage caused by pets. Caution - Pet resistant mesh blocks visibility"
A lighter mesh variant that rolls up and opens down with one swift movement. It comes fitted with high quality imported mechanism that ensures smooth and easy movement of mesh frame. It is best suited for casement outward opening windows. Fitted in the inner sash of the Villa Window system, it blocks the entry of mosquitoes and insects when you open the outer sashes for ventilation. Lightweight, compact and easy to operate, this mesh is pleated unlike others which are flat. Reinforced with a string, it has a horizontal sideways movement, and allows for better visibility. Best suited for casement door systems or long span doors. This is a mesh option for sliding window & doors. It is fit over an additional track and slides like the regular slider sash.